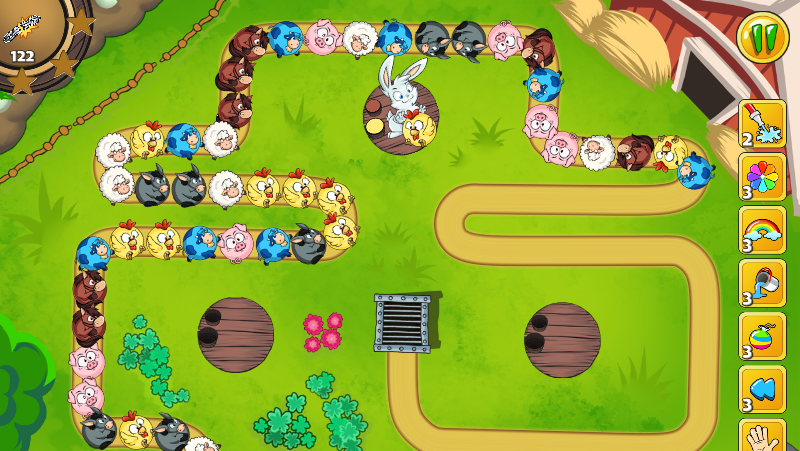 Bubble Zoo Rescue 2 is a classic marble-popping game. You have to clear strings of moving bubbles along a path by matching groups of three or more. 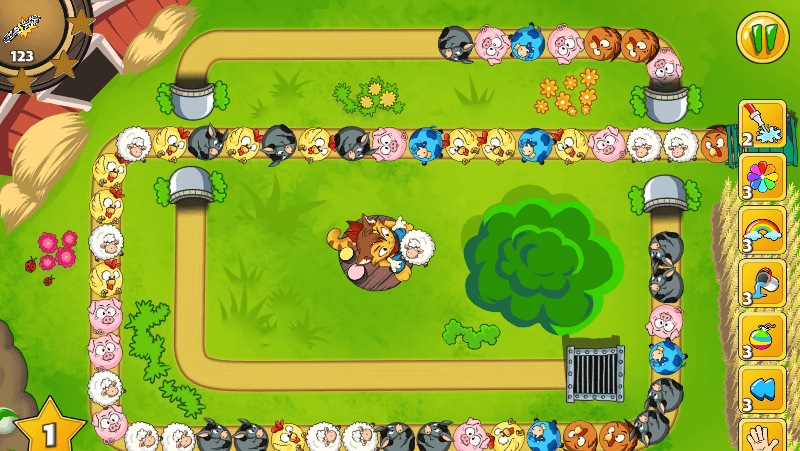 If they reach the end of the path, the player loses. 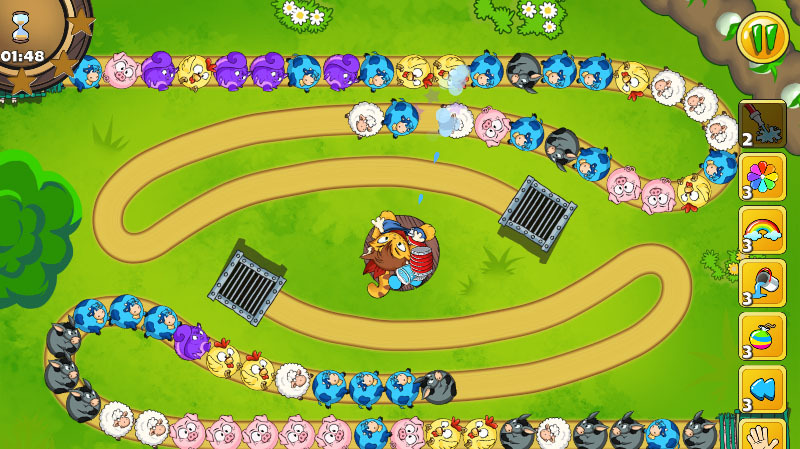 Rescue the farm animals from falling into the cage! Don’t let the evil stranger to kidnap all your precious animals. Bubble Zoo Rescue 2 is a fast paced shooting and matching game with a simple goal - you need to save all animals before they reach the end of the path and enter the cage. 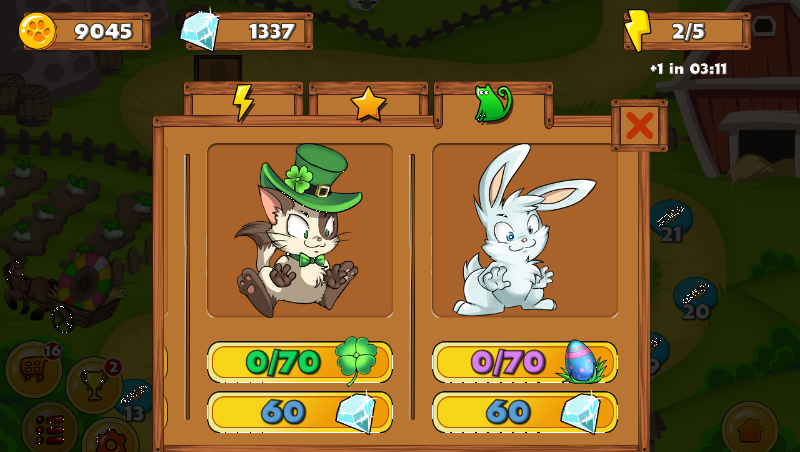 Along the game you collect different power ups like color powder and water hose. While the game might seem pretty simple with its gameplay, it really strikes that addictive balance of casual pick-up gameplay that makes you keep trying “just one more level”. 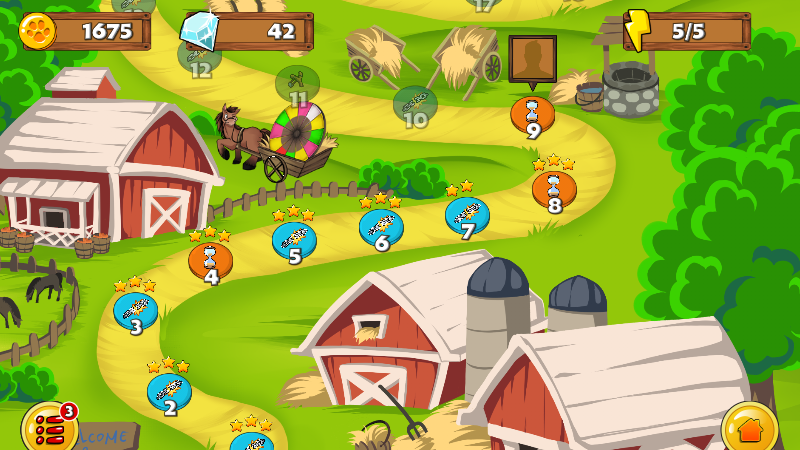 Unlike all other similar games, Bubble Zoo 2 has combined a lot of puzzle and arcade elements in it. 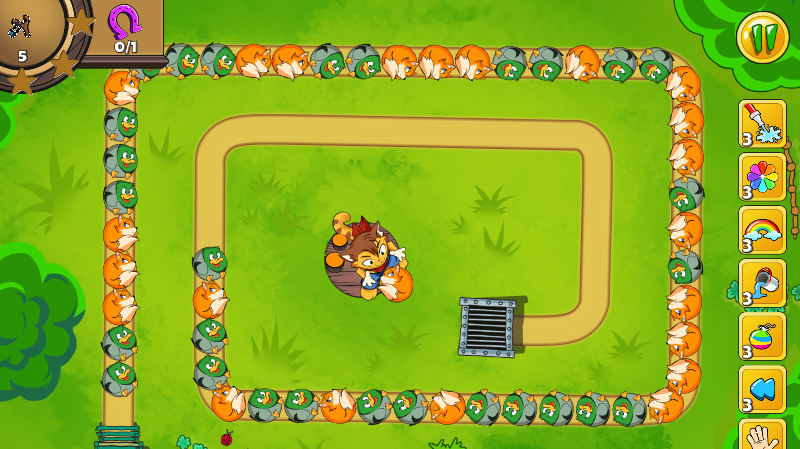 Each level has unique mode and goals and has its specifics.